It is a colorless liquid with pleasant fruit aroma solubility and is miscible with common organic solvents, and is easily soluble in water. [Use 1] Used in organic synthesis, perfumery, dyes and pharmaceutical industry [Use 2] as gas chromatography stationary liquid, analytical reagent and determination of high iron complexing indicator [Use 3] for the synthesis of aminopyrazine and vitamins B, etc., also used in the preparation of azo yellow dyes, also used to blend apple flavors and other fruit flavors. 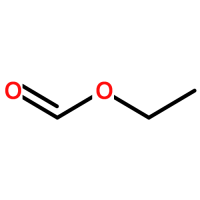 [Use 4] Ethyl acetoacetate is an important organic synthetic raw material used in the synthesis of pesticides. Intermediate of the phosphorus insecticide fossil phosphorusα intermediate of 2-chloroacetoacetate, pyrimidine oxyphosphate 2-methoxy-4-methyl-6-hydroxypyrimidine, diazinon intermediate 2 -Isopropyl-4-methyl-6-hydroxypyrimidine and carbamate insecticides against carbaryl, fungicides, carbaryl, herbicides, oxazolidine, rodenticide, coumatetralyl, warfarin Etc., also an intermediate of the new fungicides cyprodinil, difulmetorim, furammetpyr and plant growth regulator cintofen. In addition, acetoacetate B Esters are also widely used in industries such as pharmaceuticals, plastics, dyes, perfumes, varnishes and additives. .
[Use 5] GB 2760% 26mdash; 96 is specified as a permissible flavor. Widely used in the preparation of strawberry, apple, apricot, cherry, peach and other fruit types and wine types (rum, whiskey, etc.) flavor. [Use 6] It is used for cosmetic fragrances such as medlar, which can impart a fruity or elegant floral fragrance. Ethanol can be rounded in water or water. It is widely used in food flavors and can be used in many fruit or wine flavors such as apple, apricot, peach, cherry, berry and yellow wine, brandy, white wine, whiskey, rum and other food flavors and wine flavors. [Use 7] Ethyl acetoacetate is widely used in organic synthesis. For example, it can be used for the synthesis of heterocyclic compounds such as pyridine, pyrrole, pyrazolone, pyrimidine, indole and cyclic lactone. It is also widely used in drug synthesis. For example, ethyl acetoacetate is cyclized with resorcinol to give 4-methyl-7-hydroxycoumarin, which is an antiallergic drug scale intermediate. Ethyl acetoacetate is condensed with benzyl chloride to give α ethyl acetyl phenylpropionate, which is an intermediate for cough suppressant cough ketone. Ethyl acetoacetate is condensed with benzoyl chloride to give ethyl benzoylacetate, which is an intermediate of the central stimulant, sylvestre hydrochloride. Ethyl acetate and thiourea are cyclized to produce an antithyroid drug, thiouracil (an intermediate of the coronary dilating agent dipyridamole). The particularity of the EAA structure determines its both ketone properties and enol reaction characteristics, and its chemical properties are very active. It is widely used in medicine, dyes, pesticides and other fields, as well as in food additives and flavors and fragrances. The largest use of EAA in China is to synthesize medicines and their intermediates, mainly in the synthesis of γ - acetylbutyrolactone (an important intermediate for vitamin B), 4-methyl-7-hydroxycoumarin (an anti- An intermediate of sensitizers; etc. ; also used to prepare acetoacetyl o-chloroaniline (an intermediate for the synthesis of 1,3,5-pyrazolone and Hansa Yellow Lake), acetyl acetyl o-methylaniline (for synthesis) Intermediates such as organic yellow dye packaging synergistic pigment yellow); in addition, EAA is also used to produce pesticides such as methyl pyrimidine, pyrimidine and the like. It is also used abroad in the field of unsaturated polyester co-promoter and synthetic perfumes such as linalool, ionone and macrocyclic perfume. Ethyl acetoacetate is also used to synthesize 4-hydroxycoumarin, which in turn produces new anticoagulant anticoagulant drugs. Ethyl acetoacetate is cyclized with 1,3-bromochloropropane to give 2-methyl-3-ethoxycarbonyl-5,6-dihydropyran. This is an intermediate of the vasodilator pentoxifylline. Ethyl acetoacetate is also used to synthesize diclofenac sodium, amoxicillin, selective coronary dilating agents, and heart and azopyrimidine. Ethyl acetoacetate is condensed with aniline to give 4-hydroxyquinaldine. It is used to disinfect the production of antiseptic drug. An intermediate of a pyrazolone derivative and a dye formed by the condensation of ethyl acetoacetate with phenylhydrazine. It also has important applications in pesticides, perfumes, photochemicals, and polymerization catalysts. Ethyl acetoacetate is also used as a food flavoring agent. Ethyl acetoacetate is also used as a solvent, and is also a reagent for detecting strontium, calcium oxide, calcium hydroxide and copper. [Use eight] solvent. Organic Synthesis. Verification. Determination of calcium oxide, calcium hydroxide and copper. A complex indicator of high iron is determined. Gas chromatographic fixative (maximum use of 50 ° C, solvent is acetone), separation and analysis of lower hydrocarbon isomers, separation of n-, iso-1-butene and cis, trans-2-butene. [Method 1] It is obtained by condensing ethyl acetate in the presence of sodium ethoxide and then distilling it. It is obtained by esterification of diketene and absolute ethanol under concentrated sulfuric acid catalysis and then vacuum distillation. [Method 2] The preparation method commonly used in the industry is to carry out esterification of diketene and absolute ethanol under the catalysis of concentrated sulfuric acid to obtain crude ethyl acetoacetate, and then to obtain a finished product by vacuum distillation. Ethanol and sulfuric acid are added in the esterification pot according to the ratio, and the mixture is heated by stirring. When the temperature is raised to 82 ° C, diketene is added dropwise, and the esterification temperature is not more than 130 ° C. The reflux was continued until the reaction temperature did not change and the esterification solution was terminated without diketene. The feed liquid temperature is lowered to 120 ° C, the low boiler is removed under the condition of controlling the reflux ratio of 1:1, and when the low boiler is no longer distilled, the vacuum is increased to 86.6 kPa, and the low boiling material is continuously removed. When the top temperature rises above 100 °C, the vacuum is increased to 97.3 kPa, and the finished product is distilled out, and the content is more than 97%. 250 g of sodium metal was added to 4240 mL of ethyl acetate to start the reaction very slowly, which was warmed on a water bath. Once the reaction started, it was very violent and required to be cooled. After refluxing, the ethyl acetate was distilled off. After adding 1375 mL of 56% acetic acid solution, the mixture was stirred under reflux, 250 g of salt was added, and the oil was separated and extracted with diethyl ether. The diethyl ether was recovered from the extract and washed with 10% sodium hydrogen carbonate solution until acid. After drying with calcium chloride, the mixture was distilled under reduced pressure, and a fraction of 76 to 78 ° C / 2.4 kPa was collected to obtain a finished product, and the yield was close to 30%. [Method 3] 1. Diketene and ethanol esterification Diketene and absolute ethanol were esterified under concentrated sulfuric acid to obtain crude ethyl acetoacetate. The product is obtained by distillation under reduced pressure. 2. The ethyl acetate self-condensation method is obtained by self-condensation of two molecules of ethyl acetate in the presence of sodium metal. Hazard Overview [health hazard] has a stimulating effect on the skin. Harmful to the body after inhalation, ingestion or absorption through the skin. It has a stimulating effect on the eyes, mucous membranes and upper respiratory tract. [Danger of explosion] This product is flammable and irritating. First aid measures [Skin contact] Remove contaminated clothing and rinse with running water. [Eye contact] Lift the eyelids and rinse with running water or saline. Seek medical attention. [Inhalation] Leave the site to fresh air. If breathing is difficult, give oxygen. Seek medical attention. [Ingestion] Drink plenty of warm water and induce vomiting. Seek medical attention. Fire-fighting measures [Hazardous characteristics] In case of fire, high heat and flammable. In case of high heat, the internal pressure of the container increases, posing a risk of cracking and explosion. [Fire-fighting methods] Firefighters must wear gas masks, full-body fire-fighting suits, and put them on the wind. Move the container from the fire to the open space as much as possible. Spray water to keep the fire container cool until the end of the fire. If the container in the fire has changed color or produces sound from a safety relief device, it must be evacuated immediately. The liquid is ejected with water to dilute it into a non-combustible mixture, and the firefighters are protected by misty water. Extinguishing media: water, water spray, anti-solvent foam, dry powder, carbon dioxide, sand. [Emergency treatment] Quickly evacuate personnel from the contaminated area to a safe area, and conduct isolation to strictly restrict access. Cut off the fire. It is recommended that emergency personnel wear self-contained positive pressure breathing apparatus and wear anti-virus suits. Cut off the source of the leak as much as possible. Prevent entry into restricted spaces such as sewers and flood drains. Small spill: Absorb with sand, vermiculite or other inert materials. It can also be rinsed with a large amount of water, diluted in water and placed in the wastewater system. A large number of leaks: building dikes or digging pits. Wet ice or ice water to cool. Transfer to a tank truck or special collector with a pump, recycle or transport to a waste disposal site for disposal. [Engineering Control] Closed operation, pay attention to ventilation. [Respiratory Protection] Self-priming filter respirators (half masks) must be worn when the concentration in the air exceeds the standard. Air respirators should be worn during emergency rescue or evacuation. [eye protection] Wear chemical safety glasses. [Body protection] Wear anti-poisoning and infiltrate overalls. [Other protection] Smoking is strictly prohibited at the work site. After work, take a shower. Pay special attention to the protection of the eyes and respiratory tract. [Operational Precautions] Closed operation, pay attention to ventilation. Operators must be specially trained to strictly follow the operating procedures. Operators are advised to wear self-priming filter gas masks (half masks), chemical safety glasses, anti-poisoning work clothes, and rubber and oil resistant gloves. Keep away from fire, heat, and smoking in the workplace. Use explosion-proof ventilation systems and equipment. Prevent vapors from leaking into the workplace air. Avoid contact with oxidants, reducing agents, acids, and alkalis. Lightly load and unload during handling to prevent damage to packaging and containers. Equipped with the corresponding variety and quantity of fire-fighting equipment and leakage emergency treatment equipment. Empty containers may be harmful residues. [Storage Precautions] Store in a cool, ventilated warehouse. Keep away from fire and heat. It should be stored separately from oxidants, reducing agents, acids and alkalis. Avoid mixing. Equipped with the appropriate variety and quantity of fire equipment. The storage area should be equipped with leakage emergency treatment equipment and suitable containment materials.